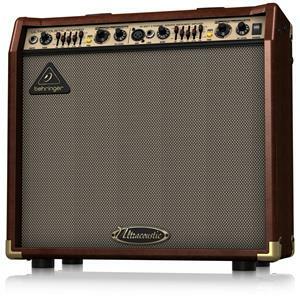 What to look for when shopping for the best acoustic guitar amp? The Loudbox Mini is the smallest and also the most-selling acoustic amp from this brand. It is a 60-watt amplifier with a couple of channels. One channel is for instrument input and the other channel is for vocals. The latter comes with XLR input for dynamic mics. With the help of the reverb available on the mic channel, you can use the built-in chorus and reverb on the instrument channel in this amplifier. To make sure that you do not get feedback when playing, the instrument channel has a phase in this unit. The attractive feature of this amp is that you can tilt the unit on speaker baffle to 10 degrees. 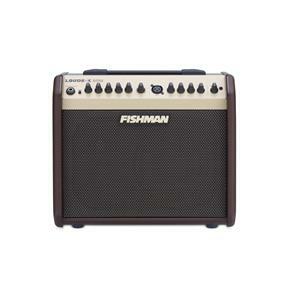 Feedback suppression is yet another attractive feature in this amp from Fishman. 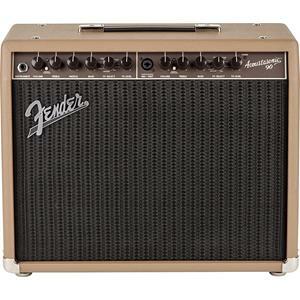 This is yet another suggestion as you are looking for the best acoustic guitar amp. This amplifier from Dean Guitars is a 20-watt amplifier. This single-channel amplifier comes with 4 Band EQ. The 4 bands are Treble, mid, bass and presence. This premium guitar amp comes with a couple of 5” speakers. More importantly, it has the Dean quality that is trusted by professionals and students from across the world. 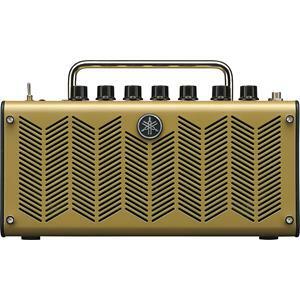 The attractively designed handle in this amplifier makes it traveler-friendly. Also, the weight is just 11.9 pounds, which makes it easy to carry as well. The dimensions are also good at 8x8x5 inches. This is a simple amp, but the beautiful sound is something adorable in this unit. 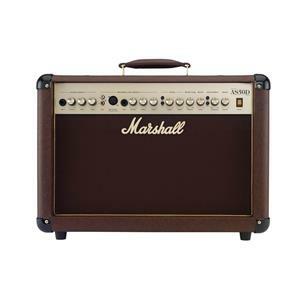 The AS50D from Marshall is a versatile and highly popular 50-watt double channel amplifier. Besides working as the best acoustic guitar amp, it can also work as a small PA system. When you play and sing in a smaller venue, this amp can be your excellent companion. In the case of larger venues, you can use this unit as a stage monitor. It will help you in sending a balanced DI signal directly to your mixer. Apart from dynamic mics, you can use live condenser microphones on this unit due to the addition of the power on the Mic input. Built-in chorus and reverb, effects loop, line out and DI input, and feedback notch filter are other attractive features. This unit from Fender permits you to enjoy a couple of channels. This means that you can use both microphone and a guitar as input and can use both simultaneously. You can simply jam along with your favorite tracks by plugging your MP3 player into the aux input and also you can become a part of the band at the same time. Unwanted feedback and also tame shrill tones will be avoided with Fender’s Smart Feedback elimination. This 90-watt punch is attractively packed in an 18-pound lightweight amplifier. In addition, it comes with a limited-period warranty. There are attractive player-centric features like XLR inputs and outputs, and lush special effects make it the best choice both for stage and studio performance. This amp from Yamaha belongs to the THR Series from this brand. The models represent some of the most interesting choices for acoustic players. In addition, they are the best choice for those looking for a versatile electric guitar tone. 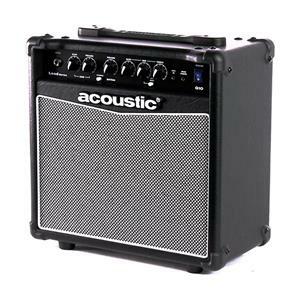 The acoustic amp of this family THR5 comes with additional tone options to help acoustic players. It comes with built-in speakers and it is extremely mobile. It also features a wide selection of voices. It is the best choice for both studio and home recording. Also, the VCM technology from Yamaha permits you to get an incredibly natural sounding tone. This means that better recording quality is possible along with the natural sound of the acoustic guitar. 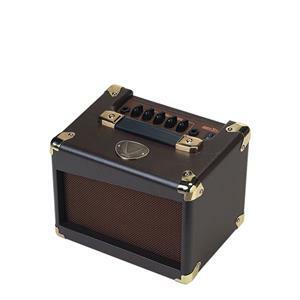 With its great looks and features, it is identified as the best acoustic guitar amp. 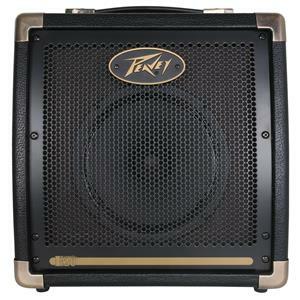 This acoustic guitar amp from Peavey comes with 20 watts of clean Peavey power. The 8” extended range speaker makes sure that you can enjoy your music in an extended range. There are two separate channels in this amp and it has a 2-band EQ per channel. The headphone out and the legendary Peavey reliability are surely selling points for this guitar amp. Most of the users of this amplifier are highly satisfied with the performance of this great unit and they are ready to give a five-star ranking for this amplifier. Not just in performance, but also in looks, this amplifier looks good with the logo of Peavey engraved attractively on the center top of the device. The attractively designed handle makes it easy to carry. To make sure that you can practice with this amplifier in silent mode this amplifier comes with Audio/MP3 input and headphone out. Also, you can fine tune your tone with mid shift feature. There are controls in this unit that will help you with finding great rhythm and lead sounds. The compact size of this unit from Acoustic is an added advantage as you can easily place and transport this unit. At a very small size, this unit produces excellent sound quality. It can make your short shows really interesting and cost for these many features is really good. The quality of construction is good and you will find that you can switch between two channels without much effort on your part. This is a 45-watt double-channel combo amplifier from Behringer. The first channel in this amplifier is for guitar or any other instrument, while the second is for line/mic input. It fairly does a good job on the basis of reviews even though it does not have the set of features found in expensive amplifiers. Most buyers say that it is a straight-up acoustic amplifier available at a very attractive cost. There is a feedback control feature. This is displayed on the LEDs. Yes, there will be a light that shows which band is feeding back. This, in turn, will help you to turn down the particular band that causes the problem, thereby permitting you to enjoy music without any interruption. This amplifier from RMS with model number RMS AC40 is designed to boost the audio signal level. It features a power output range of 40 watts. This level is more than enough to improve the audio signals. This combo amp has a 10” speaker and a 2” tweeter to deliver clear details. There are two channels in this unit with separate volume controls to ensure better production of sound. The three-band equalizer of this unit will permit you to set bass and treble range to ensure comfortable listening. This combo amplifier comes with 3-pin mic input and also a ¼” line input and CD input to produce flexible connection options. The weight of the item is good at 38.2 pounds to ensure comfortable handling. 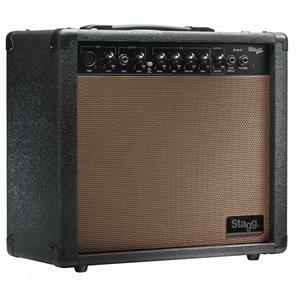 This unit from Stagg is a 1×6.5” speaker for acoustic guitars. It comes with volume and gain controls and 3-band EQ along with separate parametric mid control. It is a high impedance instrument jack and a microphone balanced XLR inputs with independent volume controls. It has a headphone and stereo jack input for CD/MP3 player. This is a 20-watt amplifier guitar amp with spring reverb. The unit weighs 24.2 pounds with a dimension of 18.4×10.5×19.1 inches. The product has a good customer review and it has 4.2 stars out of 5. Most buyers are highly satisfied with the affordable cost of this unit. Also, many have stated that it is a fully-toned unit from Stagg. With these features, it is a good amp to invest on. Feedback is highly feasible in the case of acoustic guitars. The reason is that they send signals that are produced from microphone or a transducer pickup. This means that when you should shop for an acoustic guitar amplifier, it is better to check whether it has the feedback suppression feature. This feature will improve your performance to a great extent. What are the effects included? Amplifiers come with built-in effects that can be just a compressor or as high as a loop function. So, you should decide on the effects that you should expect during your performance. In case, you wish that your performances should bring in robust and bigger sound, you can go for built-in reverb functionality. Here, you should decide based on your personal preference. It is better to choose an amplifier that comes with a couple of channels, one for guitar and the other for microphone. This will permit you to play gigs without the requirement of carrying an out-and-out PA system. In case, you have plans to use the amplifier around your house for practicing purpose, you just need an amplifier with 20-30 watt power. But, if you are looking to entertain a huge crowd, it is important that you should look for an amplifier with better power and projection. In this case, you can go for the one with 50-60 watts of power. In case, you have plans to play with a full band, you should go for amplifiers with 100-watt capacity. If you are a frequently traveling musician, you can choose a combo amplifier. Also, you can go for this type, if you do not have enough space in your vehicle to transport bulky amplifiers. 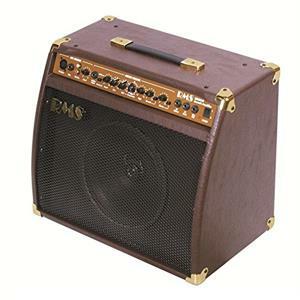 For an average gigging musician, a combo amp can bring many practical benefits. In addition, combo amps come with a whole lot of built-in features. Also, due to their compact size, these amps are easy to store and carry along as well.